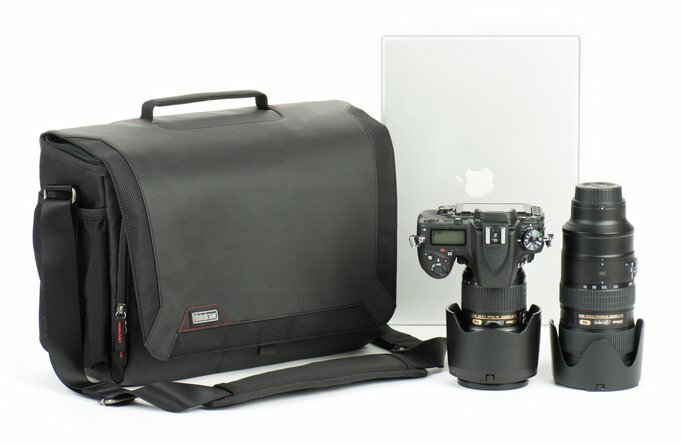 Our friends at Think Tank Photo have just announced a new line of shoulder bags for DSLR and mirrorless systems. The new Spectral shoulder bags feature a Fidlock clasp that enables one-handed access to gear and then locks automatically when closing the flap. An additional zippered closure gives peace of mind while traveling and can be tucked away when actively shooting. Constructed with durable yet stylish materials, the Spectral Shoulder Bag offers Think Tank quality and ingenuity at a reasonable price. Spectral 8 is $99.75, Spectral 10 is $119.75 and Spectral 15 is $139.75. Spectrals come in two different colors: Vintage and Technical Black. And don’t forget that when you use our URL you will receive free gear and free shipping with your order of all Think Tank gear, including the Spectrals.